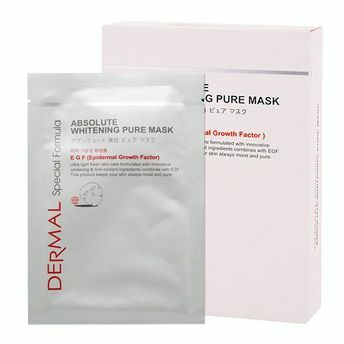 An intensive skin whitening sheet mask that lightens and brightens skin. Great for dull, uneven or tanned skin, this Ultra light skin care face mask is formulated with innovative whitening & anti-oxidant ingredients combining with Epidermal growth factor (EGF) that enhances skin's regeneration and has great anti-aging benefits. This product keeps your skin moist, soft and supple. It improves overall skin's texture.